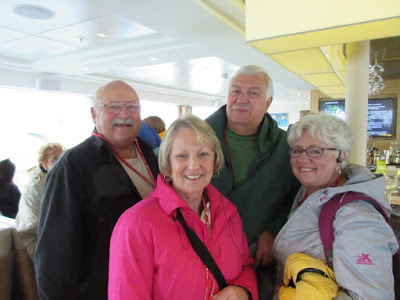 Linda and George Shouse are retired teachers who love to travel. For over seven years they have relied on their travel consultant, Natalie Johnson, for her expert advice. 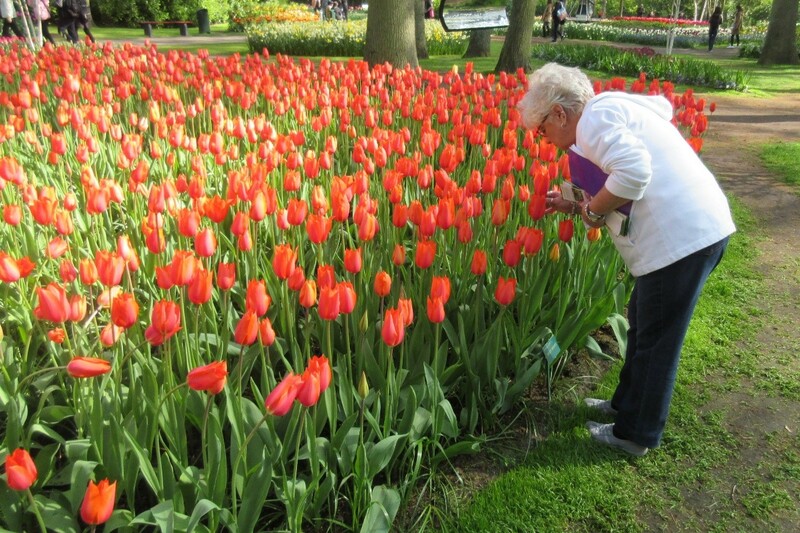 As their partner in travel, Natalie looks for the best choices in destinations and accommodations wherever and whenever they go, and springtime being a great time for river travel, Natalie suggested that they add a river cruise to their travel memories. In Amsterdam–they took a canal cruise via a glass-topped boat for a good look at the city’s Golden Age architecture and graceful bridges that facilitate pedestrian and bicycle traffic--bicycles seem to outnumber cars; visited the Anne Frank House with its message of hope in the midst of darkness; and then experienced one of the world’s most splendid floral extravaganzas—seven million tulips--in the Keukenhof Gardens which covers more than 70 acres. 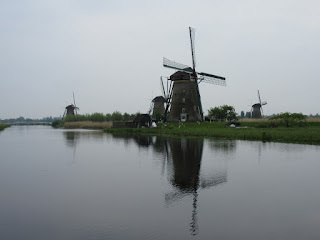 In Kinderdijk--they visited one of the five UNESCO World Heritage Sites on this sailing. Kinderdijk is unique for its 19 windmills dating from 1500. The windmills have played a great role in Holland’s history--each windmill housed a family charged with keeping the windmill in working order. 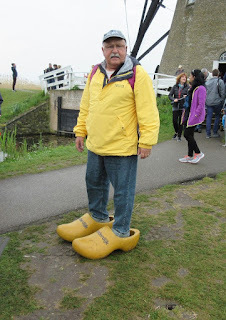 They had the opportunity to tour inside a working windmill and George couldn’t resist being photographed in the wooden shoes. In early times, wooden shoes were worn with thick woolen socks and were removed prior to entering a house to keep from scarring the wooden floors. In Bruges– another UNESCO World Heritage Site--where the Church of Our Lady dominates the skyline of the city. It took two centuries (13th – 15th) to build the church. Among the many art treasures is Michelangelo’s sculpture Madonna With Child. In Veere--In the Netherlands it wasn’t quite spring. It was a cold, blustery day but their visit was rewarding as they enjoyed a walking tour of Veere, a Medieval village. It was also a perfect day to get back on board and take advantage of lavish comfort on the Magni. There is a real dichotomy aboard ship: should we take advantage of everything a port offers or take advantage of every luxury provided on the ship. Today was the day to take advantage of cooking demonstrations, some informative lectures on history and art and spend time with fellow travelers all the while enjoying complimentary wine, beer and soft drinks which are available on the Magni every day. 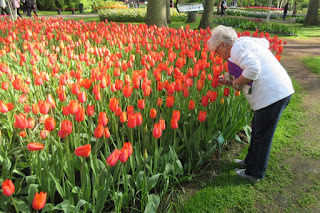 In Conclusion: We never stop learning, even in retirement, (any teacher will tell you) and they learned a lot about river cruising on this trip, especially how a river cruise provides a new destination every day and how nice it is to unpack once, relax and enjoy the ride. A ride that gives you ample time ashore; excursions in each port; and overnight stays in places that warrant a closer look.